Following the conclusion of the ‘Group of Death’ at Euro 2012, all of the media hype has been focused on Holland’s demise after they failed to record a point from their three fixtures. As bad as they were though, nothing should be taken away from Portugal’s efforts in overcoming the Dutch on the final matchday to secure their place in the quarter-finals. Having gone a goal behind after only 13 minutes and knowing that a defeat by a deficit of two or more would send them packing, many would have expected Portugal to buckle under the pressure and allow the Oranje to roll them over. However, Paulo Bento’s side produced a mature yet classy performance as they fought back and recorded a thoroughly deserved 2-1 victory. Slick passing and lightning-quick counter-attacks were backed up by resolute defending and a sheer determination to succeed (which is more than can be said for the fallen Dutch). As a result of that flawless showing, Portugal have been installed as 67/100 favourites to overcome the Czech Republic on Thursday evening at the National Stadium in Warsaw. Without an international-class striker in their ranks apart from the aging Milan Baros, the Czechs offer little in front of goal and to make matters worse, captain and influential playmaker Tomas Rosicky is struggling with an Achilles injury. 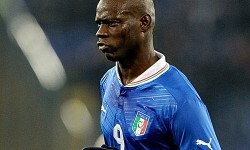 Euro 2012 quarter-final: Portugal v Czech Republic – bet now! Portugal’s quarter-final opponents must be acknowledged for their team unity and fighting spirit as they managed to overcome the bookmakers’ odds by defeating co-hosts Poland to secure their route into the last eight. A superb victory was made even sweeter as original Group A leaders Russia squandered countless chances on their way to a shock 1-0 defeat at the hands of Greece which handed Czech Republic top spot in the group. After being thumped 4-1 by Russia in their opening fixture, such an outcome seemed about as likely as Cristiano Ronaldo admitting he’s not quite as good as Lionel Messi. However, back-to-back wins over Greece and Poland have earned Michal Bílek’s men a tie against the Seleccao. Further success looks unlikely though, given that bwin have Czech Republic priced as 9/2 outsiders for the quarter-final tussle. I have to agree with that assessment, especially considering Ronaldo has found the form that saw him net 60 times for Real Madrid last season. Portugal’s captain was in scintillating mode as he bagged a brace in the 2-1 victory over Holland and having broken his Euro 2012 duck, it would be a brave man who bets against him hitting the target again. Gregory van der Wiel has branded the Portuguese maestro ‘impossible to mark’ after he completely bamboozled the Ajax right-back and his Dutch compatriots with his exceptionally quick feet and searing pace. As well as trying to contain Ronaldo and company, Bilek will be fretting about the fact that his side look slightly limited in attack. Without an international-class striker in their ranks apart from the aging Milan Baros, they offer little in front of goal and to make matters worse, captain and influential playmaker Tomas Rosicky is struggling with an Achilles injury and could be forced to sit the game out. Bilek will want his side to keep things extremely tight for as long as possible and try to frustrate the talented Portuguese and if punters sense that they can do so, a bet on the draw at odds of 13/5 in bwin’s 3Way market should attract your attention. It will not be in Bento’s gameplan to allow the tie to go on longer than the 90 minutes, but if the first of the Euro 2012 quarter-final clashes does end in a stalemate then it is worth looking at the ‘how will qualification occur?’ markets. Czech Republic are priced at 16/1 to win in extra-time, with Portugal 9/1 to advance to the semi-finals in the additional 30 minutes. If it goes all the way to a penalty shootout, bwin are offering odds of 12/1 for a Czech win from 12 yards and 11/1 for penalty success for the Portuguese. The last encounter between these two nations was at Euro 2008 and Portugal were victorious on that day, as Ronaldo got on the scoresheet in a 3-1 group-stage win. A repeat of that scoreline is available at odds of 25/2 and cannot be dismissed considering Portugal have already found the net three times against the Danes. And if it was not for the woodwork denying Ronaldo, then Holland would have also been on the receiving end of three Portuguese goals. New customers receive a free £20 bet for joining bwin.com and using it to back Portugal to win 3-1 and maintain their chances of winning Euro 2012 would return £270 if successful. Any team who make it to the last eight of a major tournament deserve respect and Bento will ensure his side does not take their opponents lightly. Nonetheless, having escaped the Group of Death, I cannot see Portugal being prevented from marching into the semi-finals and edging one step closer to that elusive first major trophy. New customers can register here to claim a free £20 bet or click here to see all our Euro 2012 odds.